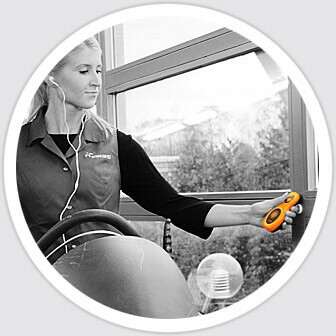 Cleaning staff GPS and NFC tracking, and reporting software. You can track cleaners with iOS or Android. Our solution is used all around cleaning industry, with maid service, custodian and janitorial services. Stop work time cheating, get real time reporting and electronic timesheets, and know where your workers are. Increase efficiency and get higher profits. Invoice all extra work – increase your turnover on average by 10-15%. Prevent work time cheating with electronic timesheet – Increase your effectiveness on average by 10-15%. Streamline your payroll process and eliminate human error in processing and administration by 2-5 % using payroll timesheet. 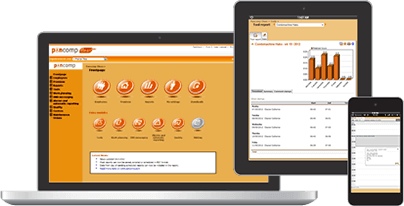 Boost proactiveness with Pancomp Clean alarm features – don´t loose any clients in vain. No hassle with technology – Pancomp Clean is easy to use, easy to learn! 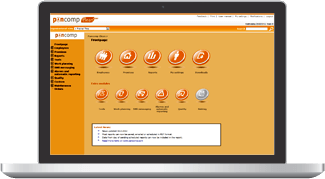 With Pancomp Clean you are able to monitor the progress of work on the cleaning site you manage. 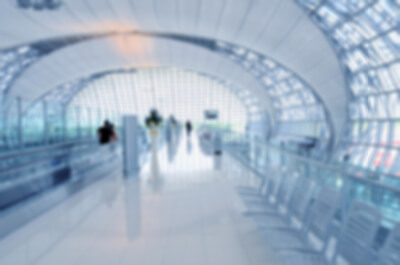 Your company employees will be able to report in real time when they have arrived and left different locations, and management is able to see immediately how long it has taken to complete tasks. Worker timesheets show visually working times against budgeted hours for easy planning. Prevent work time cheating through electronic time clock and real time reporting. Forget manual timesheets and improve your effectiveness through streamlining your payroll processes and eliminating human error in processing and administration. Your customers pay for what they get, and stay satisfied, meaning you keep and acquire more customers. Pancomp enables proactivity, you can react to problems before your customers get a chance to complain increasing your reputation as a reliable partner. Pancomp solutions enable you to invoice all extra work performed at customer sites, increasing your turnover and profitability. Service process quality monitoring is easy, and enables you to measure the level of provided quality and to ensure service promises are met continuously. Reporting becomes effortless and with Pancomp you are able to monitor the profitability of your clients on a daily level – compare the budget to actual hours worked and ensure your profitability! Ensure your place in tomorrow’s competition! Pancomp Clean is a workflow management system to provide required information on daily activities and progress of work. With Pancomp it is easy to prove employees are exactly where they should be, at the time when they are needed. Cleaning timesheets have gps verification, there is no need for paper or manual processes with electronic timesheets. System is easy to use, everything is done with a single push of a button, there is no need to read or follow complicated instructions – no need to learn languages. Communicating with the mobile workforce is easy through conventional SMS messages from the system or smart phone applications to send work instructions, work shift changes or any information mobile workforce requires whilst on the field. Extra work can be requested through the system by management, and employees can report any completed extra tasks using Pancomp’s simple reporting mechanisms – and it is all in real time! Worker timesheets include all extra work, are used for payroll and invoicing – avoid missing extra work from billable hours. Scheduling of work shifts and ensuring capacity requirements in each client site are met – easily done with Pancomp. For customers, it is important to know they are getting exactly what they are paying for. With Pancomp Clean online service reporting this is possible. All field operations are online, in real time timesheets, scheduling is flexible and ensures various customer needs are met with ease and speed. 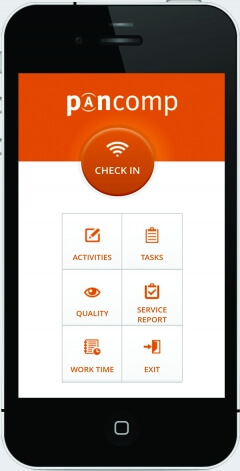 Quality checks and service reports are easy and fast to complete at customer sites. Fully integrated quality checks mean sites can be monitored, controlled and reported on as desired, increasing the level of satisfaction to the service provided. Gps timesheets ensure locations are visited as required. Pancomp enabled proactiveness makes it possible for the cleaning company to react to problems before the customer gets a chance to complain. Reporting from the field with a single push of a button → Don’t worry about paperwork, cleaners can concentrate on serving the customer.